Mike Martin was first licensed in 1985. By the time he graduated from South Texas College of Law in Houston, Martin was a national and state advocacy champion and had already argued before the D.C. Circuit (en banc); the Texas State Supreme Court and two United States Supreme Court justices. While in law school he won multiple national advocacy championships, including best advocate in the region and in the nation. Martin has specialized in trial litigation for both commercial and personal injury, with a specific specialty in respirator product liability. 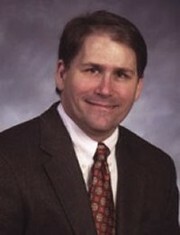 Mike Martin has successfully tried over 100 civil cases as first chair. During his career he has verdicts ranging from 3.5 million to 7.5 million in damages. Martin has successfully tried both complex toxic tort cases and complex commercial cases. In addition to his role as a seasoned and experienced trial lawyer, Martin has garnered many positive settlements for his clients. By way of example these recent settlements included a 6.5 million, 4.5 million, 3.5 million, 2 million, 2.2 million, 2.8 million 1.5 million in respirator product liability cases. Unlike some plaintiff lawyers, Martin handles respirator liability arising out of silicosis, asbestos or chemical exposures on a case by case basis, only. He has never grouped his clients in a single case. • 1991-1995 - Member, Texas House of Representatives: Chair Health Insurance Reform, Vice-Chair Insurance; member, House Appropriations, Chair Freshman Caucus – Outstanding, Freshman member. • University of Houston, Continuing Legal Education – “Ethical Perspectives in Accepting Representation After Passage of SB 15” Dallas and Houston. • Co-Chair, Mealey’s Silica Litigation Conference, Oct. 25-26 New Orleans. Speaker – Medical Ethics of Evaluating Silica Cases – “presenting false expert testimony, improper coaching of claimants testimony” - Model Rules of Professional Responsibility. Gage Walton is a graduate of the University of Texas at Austin and South Texas College of Law in Houston. Ms. Walton has significant experience in commercial litigation, specifically representing landlords in landlord/tenant litigation. 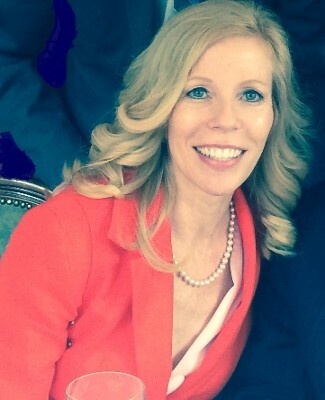 She has successfully prosecuted thousands of landlord tenant disputes to the advantage of her clients. Ms. Walton has appellate experience both in state and federal court and has handled appeals relating to complex toxic tort and environmental claims. She also successfully argued the appeal of one of the largest defamation verdicts in the history of Brazoria County. Ms. Walton has been a strident public advocate for children and families in need. She is the former president of the board of directors of the Women’s Resource and Crisis Center of Galveston County. She helped establish the Court Appointed Special Advocates for Children, or CASA, of Galveston County which provides critical assistance to children in the judicial process. She has volunteered with the Harris County Juvenile Detention Center and Casa D’Esperanza De Los Ninos, the House of Hope for Children.